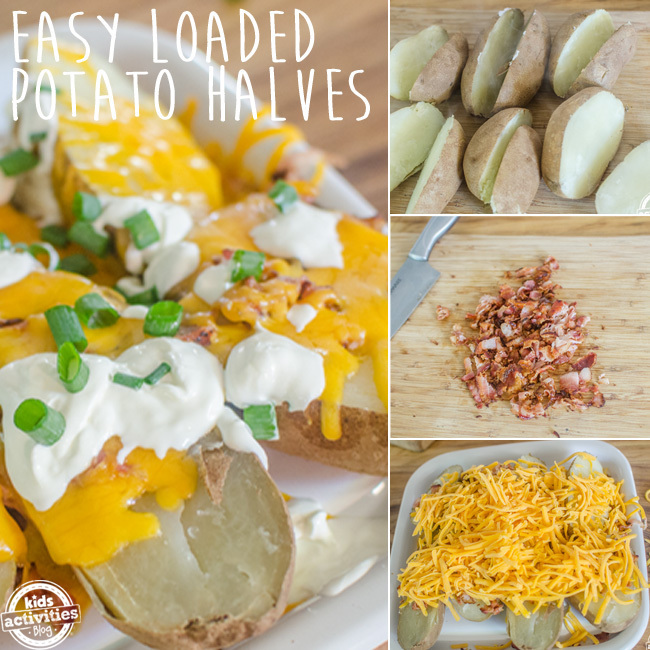 Okay, Easy Loaded Potato Halves is by far the easiest and fastest recipe I’ve ever made. 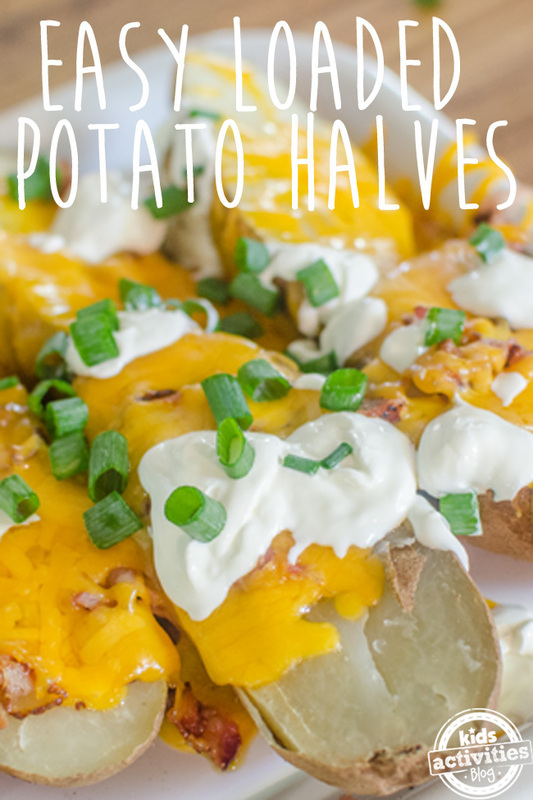 It’s my go-to lunch or dinner recipe when I don’t feel like cooking. It’s so easy to make that even beginner chefs can make it. I like to enlist the help of my kids when preparing this dish (with adult supervision of course). 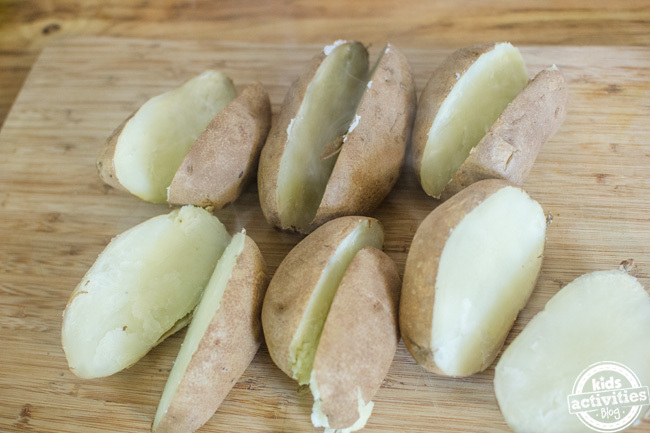 Most of this recipe can be prepared right in your microwave. The only part that has to be cooked on the stove is the bacon. The recipe is also super versatile–you can basically add whatever ingredients you like for a customized taste that pleases your family’s tastes. One idea would be to replace the bacon with canned chili sauce. 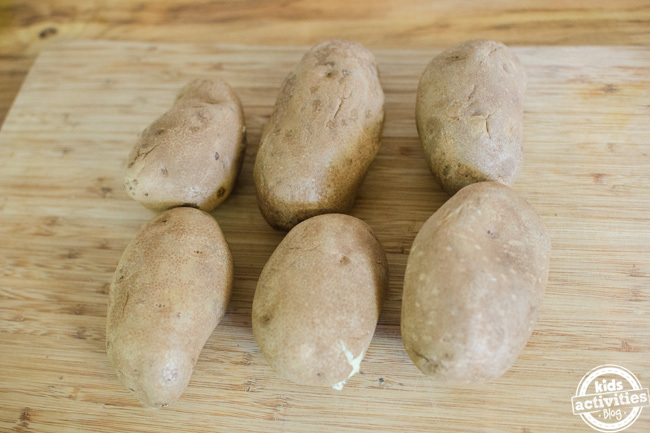 Place whole potatoes in microwave and cook on HIGH for 10 minutes. 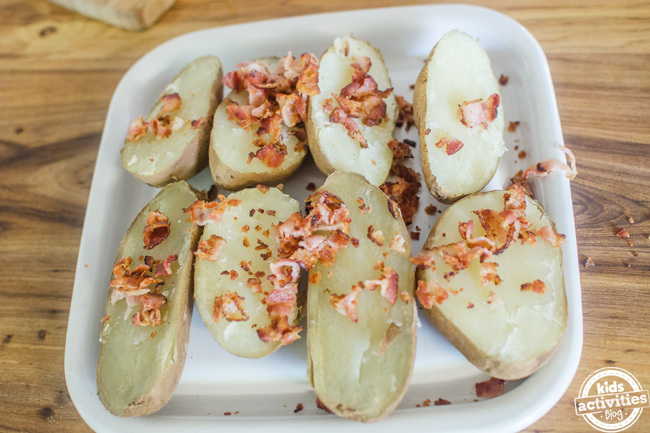 Meanwhile while potatoes are cooking, fry the bacon until crispy. 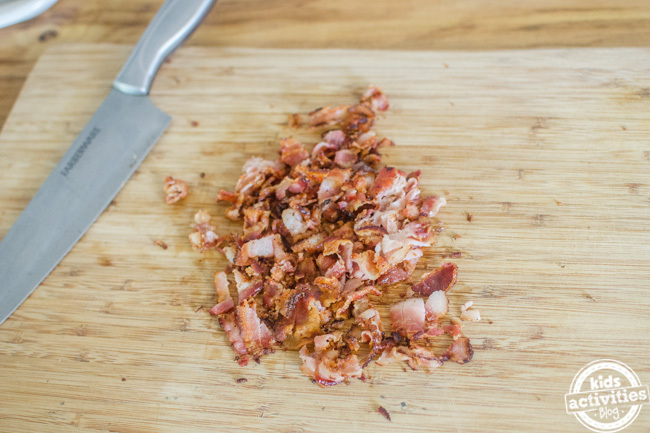 Drain bacon on paper towels and then chop. 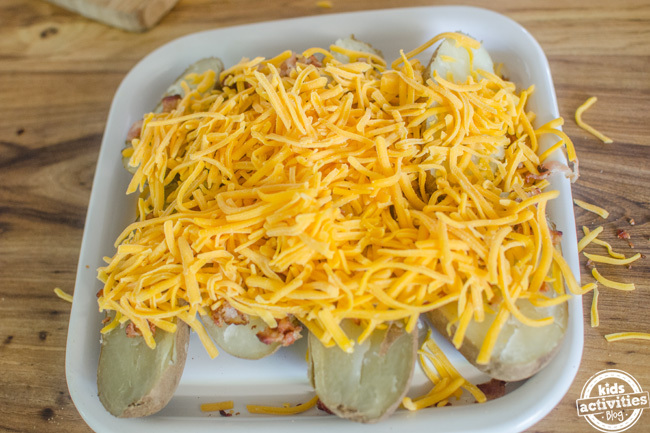 Place on a microwavable safe serving dish and top with chopped bacon. Top with cheese. Microwave on HIGH for 2 minutes or until cheese is melted. 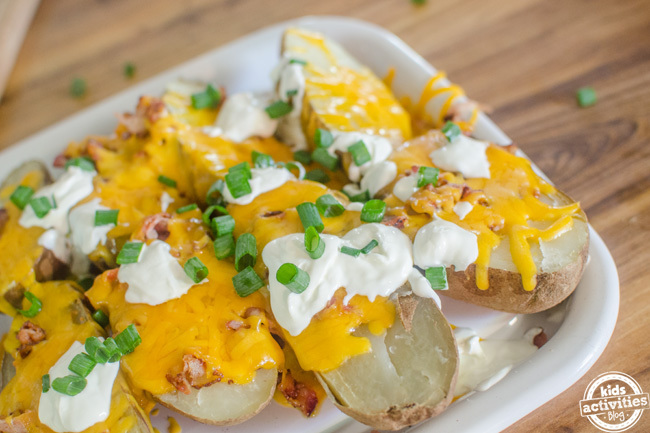 Top with sour cream and green onion. Allow to cool for a few minutes before serving. Kids LOVE helping make this recipe! Previous Post: « Ever Wanted To See Inside Carrie Fisher’s House? Here’s Your Chance!